« No hurly-burly in Boynton! arbors, reading the Bible and singing hymns. As more settlers arrived, the families raised money, gathered materials, and built small local churches. 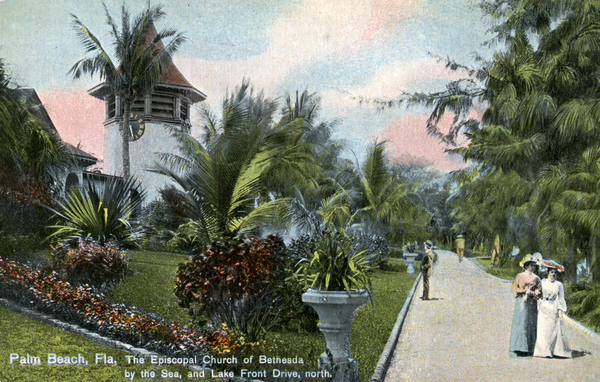 Weather and fire destroyed most of the early church buildings, though one pioneer church built in 1894, the second Bethesda-By-The-Sea Episcopal church, still stands in Palm Beach. 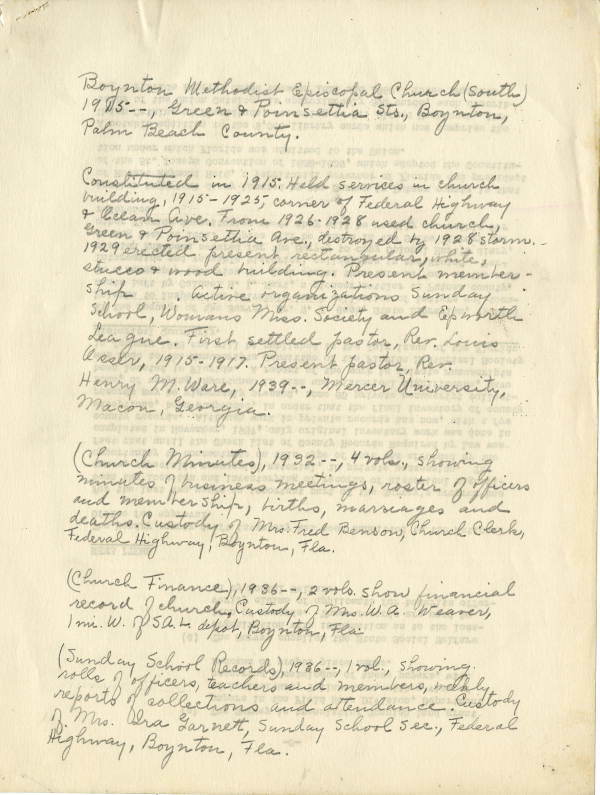 In 1930-1940, the WPA (Works Progress Administration) surveyed churches throughout the state to chronicle the history and inventory the church archives. 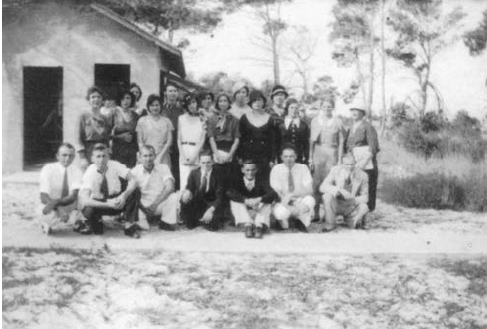 The WPA reported the Town of Boynton had seven organized congregations with church buildings, though few buildings were the original structures. According to WPA records, Saint Paul’s African Methodist Episcopal Church (1900) is the oldest. The records designate Saint John Baptist (1909) as the second oldest, yet a comprehensive history of the Boynton Methodist Episcopal Church, South published in 2006 (First United Methodist Church of Boynton Beach, Florida: A Centennial Celebration: A History of the First 100 Years 1905-2005) is contrary to the WPA date of 1915 and supports the claim the Boynton Methodist formed in 1905. In the 1976 film, The History of Boynton Beach, one of the scenes shows scores of men, women and children exiting a church. As the church-bell chimes, people scurry across Seacrest Boulevard and gather in small groups to chat. The women wear lovely skirts and wear heels, with their heads covered by colorful hats. Nearly every gentleman wears a tie, and most are carrying a suit coat or sport jacket over his arm. Though today many church-goers don’t dress up as much, this idyllic scene is still repeated across Boynton Beach on Sunday mornings. Today Boynton Beach and nearby unincorporated areas of Palm Beach County are home to nearly 600 religious institutions. The Boynton Beach Historical Society would like to add to its knowledge base and archive with information including primary documents and photographs of each church. To contribute to the history, please email us at boyntonhistory@gmail.com. Tagged Bethesda-by-the-sea, boynton, Boynton Beach, Boynton History, church history, downtown Boynton, First United Methodist, oldest church, palm beach county, south florida, traditions, wpa. Bookmark the permalink.